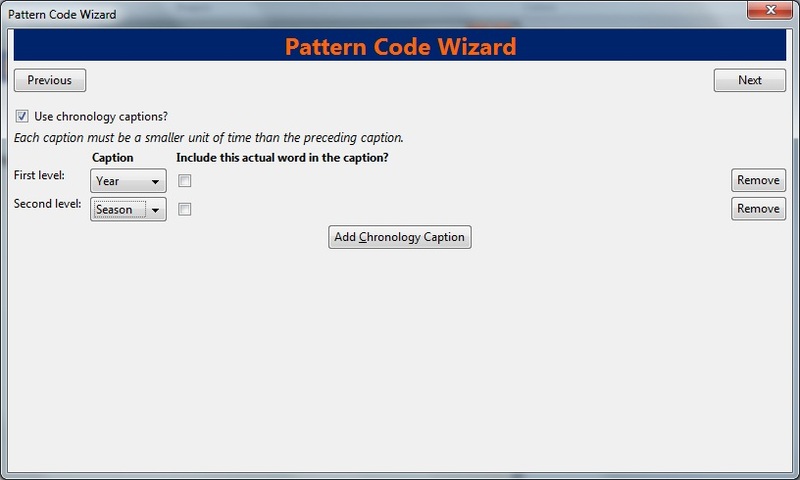 In the panel on the right, click the Captions and Patterns tab. In the Type drop down menu, select the MARC tag to which you would like to add data. 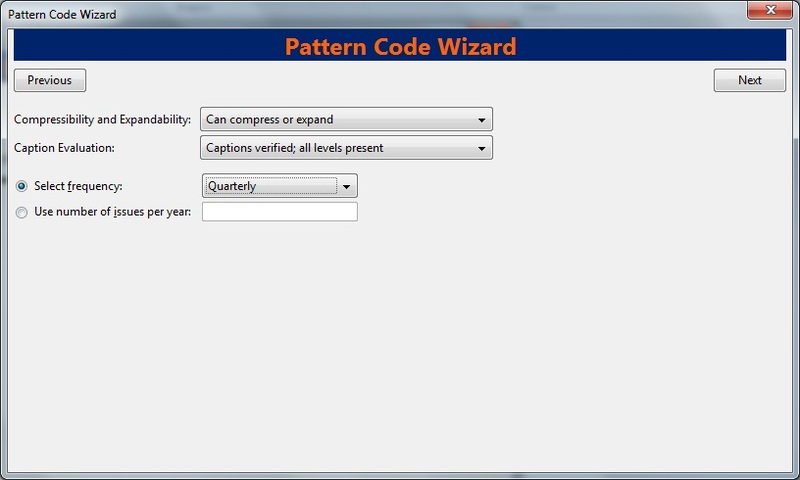 In the Pattern Code text box, you can enter a JSON representation of the 85X tag by hand, or you can click the Wizard to enter the information in a user-friendly format. 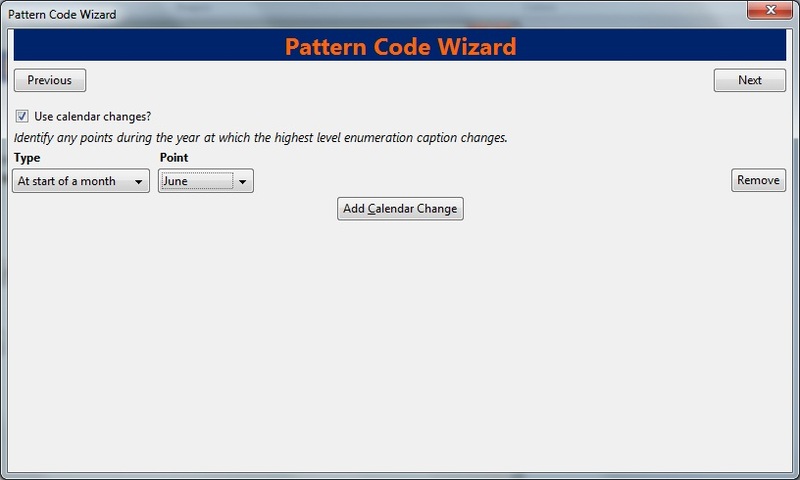 The Caption and Pattern is Active by default. You can deactivate it at any time by unchecking the box and clicking Save Changes. Only one active caption and pattern is allowed per type. 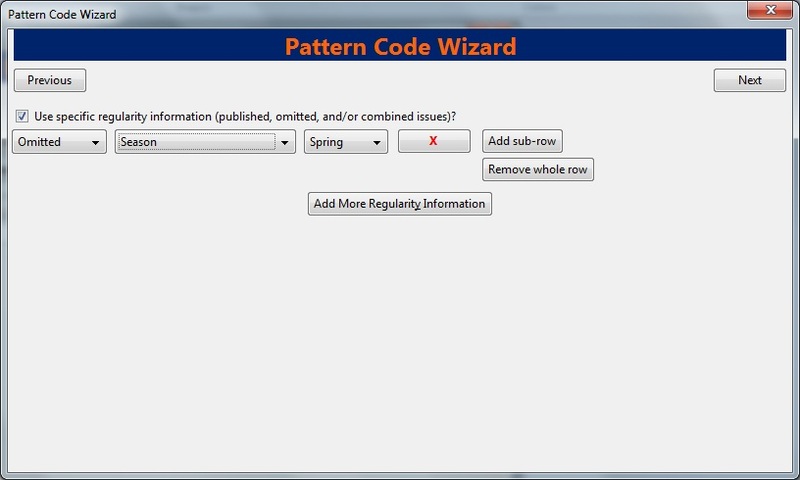 To delete a pattern, simply click the red X button. Click Captions and patterns beneath the subscription from the tree on the left. Right click to the show the Actions menu, or click Actions for Selected Rows, and click Add Caption/Pattern. 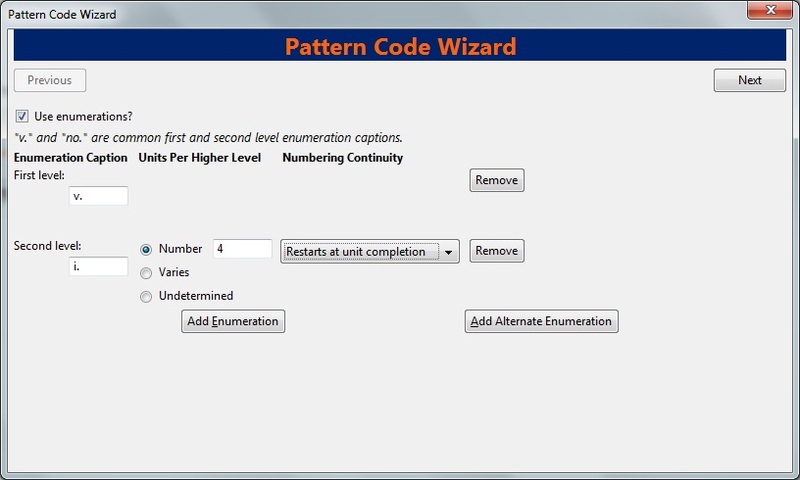 In the Pattern Code box, you can enter a JSON representation of the 85X tag by hand, or you can click the Pattern Code Wizard to enter the information in a user-friendly format. Choose a chronology for the first level. If you want to display the terms such as "year" and "month" next to the chronology caption in the catalog, then check the box beneath Display in holding field.